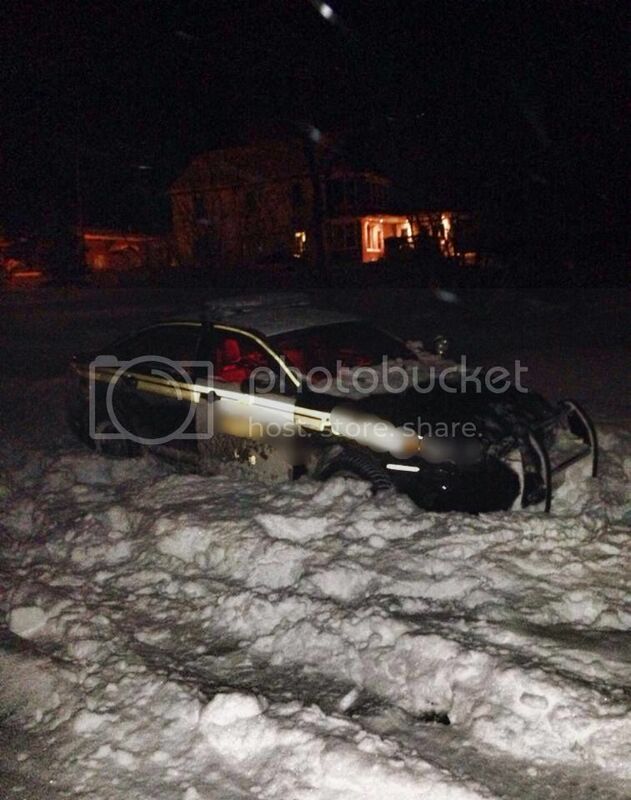 KL OPP tried to follow a sled onto larder lake !! Hey risky please don't take that photo down for a while. I posted the link to,another forum and see that it's your photobucket. I don't have a way of saving from the ipad then putting a link. Sure the hose monkeys will have a laugh! Why are the writing and logo on the car blurred?? The person I got it from blurred it to cover numbers or vehicle ID I'm assuming.